This entry was posted in Food Glorious Food and tagged cookies, pecan biscuits, pecans., recipe, simple by cityhippyfarmgirl. Bookmark the permalink. 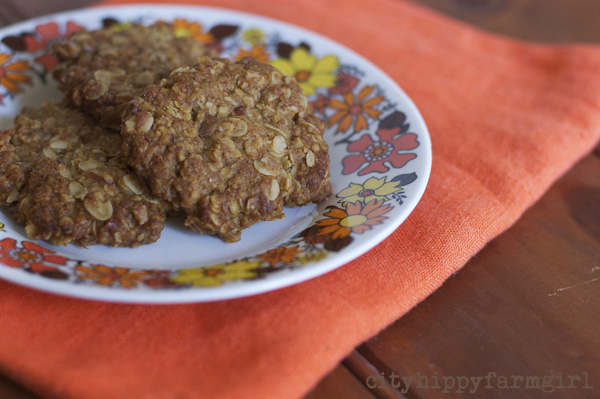 Since I am originally from Louisiana and Texas, where pecan trees abound, but I have lived overseas for almost 27 years and have good Aussie friends who make ANZAC biscuits, I am thrilled with a recipe that mixed the two cultures. 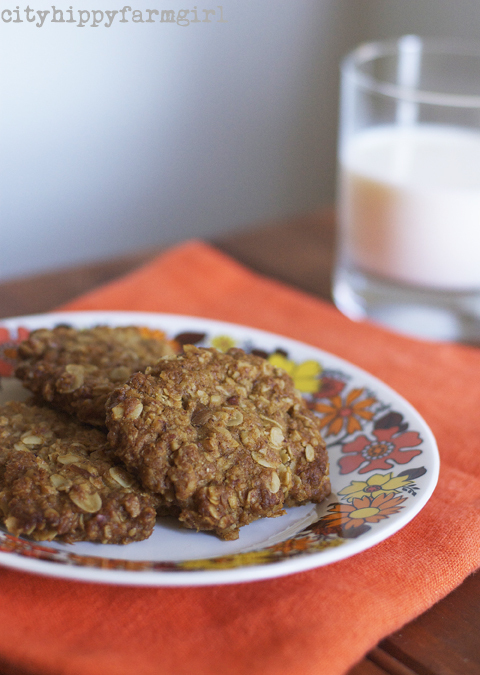 ANZAC biscuits with pecans – incidentally, pronounced puh-cahn in the Southern States – may come as a surprise but should usually be well-received by the the chaperons and the partygoers alike. As it’s good stuff Rose, and every kitchen should have a stash on hand. I use it in oodles of stuff these days, enough so I get the 12.5 kilo bag anyway. Pecans are such a rich buttery flavour- yummo Brydie! I like the mixture- anything puhcan makes me happy! I’m going to try these- thanks Brydie! hmmmm panzac biccies 😉 they look great! My husband loves cookies that are not too sweet. I’m baking a batch as we speak! Thanks for sharing. I think I would really like the “earthy” flavor that the spelt flour brings…so much more dimension 🙂 Thanks for sharing!